It can be an extremely stressful situation when part of your key breaks off when you place it in a lock. This problem is especially common in motor vehicle ignition switches with tumblers. When the key bends or gives way to some other type of stress, it is impossible to get it out of the ignition or start your car. This leaves you stranded with no way to move your vehicle out of the way of others. That is because your key is the primary electrical switch that starts a series of actions in your car’s ignition. 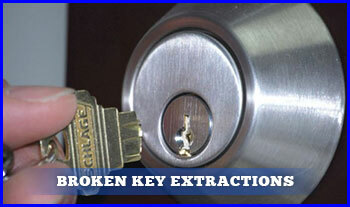 All it takes is a slight bend for it not to work as it should and for you to need broken key extraction services. At a time like this, you need to know that you can reach a locksmith company that provides broken key extraction 24 hours a day. 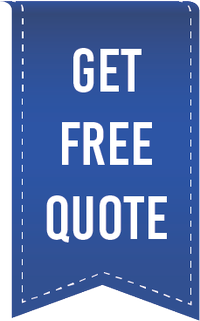 You can call on American Local Locksmith days, nights, weekends, holidays or whenever you need this service. In the meantime, let others know you’re having a problem getting your car started if necessary and wait in a safe place for us to arrive. Even if you have a set of replacement car keys, don’t try putting the second one in the key hole when a piece of the first one remains stuck. This will likely cause you to need more locksmith services than just broken key extraction around the local area. Our locksmiths carry all of the necessary tools to deal with broken key extraction. Although you can buy kits for broken key extraction in some places, we don’t recommend this. We also advise against trying to use adhesives, hook probes, or similar materials to get the broken pieces of your key out of the ignition switch or door frame. These solutions are really no solution at all and may drive the broken pieces further into your car’s ignition or the door lock at your home or business. Fortunately, American Local Locksmith has years of experience providing broken key extraction services with cars, homes, and businesses in and around the local area. While it is understandable that you feel panicked, you don’t want to make the problem worse or expensive to fix. We always try to remove the pieces of the broken key without having to replace the lock or ignition piece, but that isn’t always possible. Our crew will let you know if replacement is necessary before we complete the broken key extraction. Rest assured, we have the equipment needed to complete a broken key extraction with all makes and models of vehicles. Whether you have a 20-year-old beater or a brand new luxury car, you can depend on us to provide broken key extraction service in your time of need. It normally takes our staff at American Local Locksmith approximately half an hour to complete broken key extraction service. It is not necessary to rekey your locks afterwards unless you are especially concerned with your security. The broken key extraction process does not affect the integrity of your lock most of the time, in some cases we will need to change the existing lock depend on the damage of the lock.